But that option isn’t available on a Mac version of the software. Fortunately, you have Quicktime. Quicktime has the ability to record from your screen. 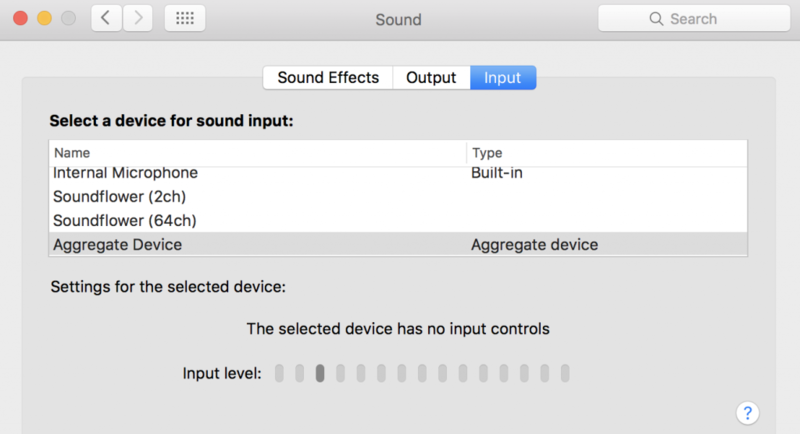 However… the audio is an issue. 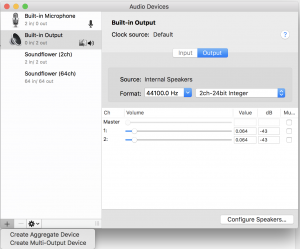 I’ve seen some tutorials that suggest that you set Quicktime to record from the internal mic and the computer to send audio through it’s speakers. 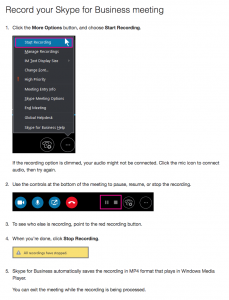 There is a reason that we suggest that one uses headphones during video conferencing… it’s so the audio from the speakers doesn’t loop through from the speakers and then back into the mic (if the sound is going directly into your ears via the headphones, it doesn’t go to the mic.) So, the solution may work for some – but I don’t like it. Click the plus sign in the lower left and select “Create Multi-Output Device”. Keep Built-in Output checked, and check Soundflower (2ch). 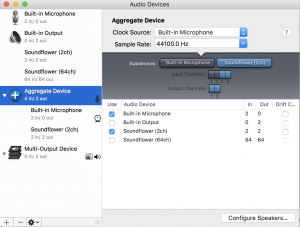 Also, create an “Aggregate Device”, selecting your built-in Microphone and Soundflower (2ch). 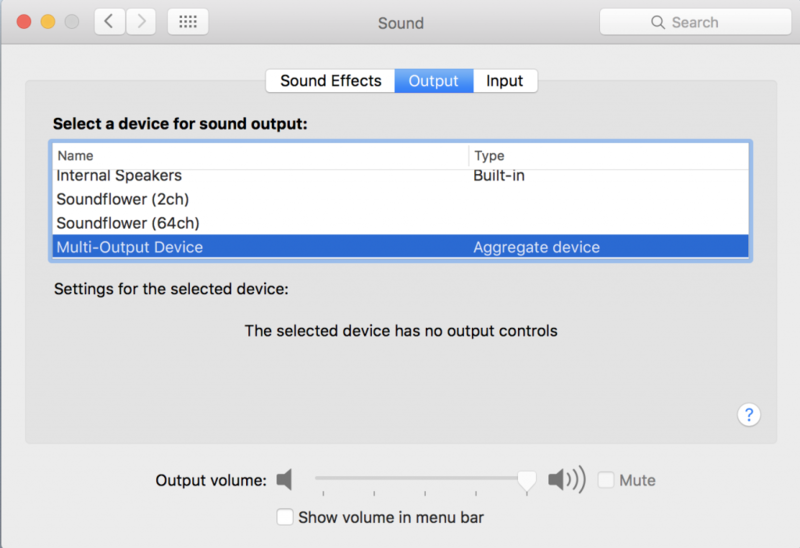 Now go to your system preferences and select Sound -> Output and set it to your Multi-Output Device. and set the input to the Aggregate Device. Now, when you you record from Quicktime, the audio will go both to your headphones and also be recorded in the screen capture. This is very handy! Skype for business for Mac was promised months ago!